Over the past weekend I put together a cookie platter for my sisters graduation party (See platter HERE) and I was so excited to try out some new recipes I have found over the past few weeks. 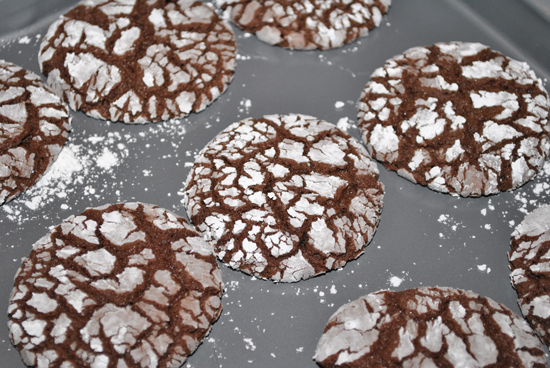 This week I bring you Fudge Crinkle cookies (print recipe HERE). I was super surprised how easy this recipe was to make but sadly disappointed in how little it made-only 2½ dozen! These cookies will go fast and thankfully all the ingredients are already in your kitchen or super cheap! (Cake mix is around $1.25 a box) So be prepared to double this recipe because the cookies are incredibly delicious and viciously addicting. (I rhymed! haha) You can find the recipe HERE! 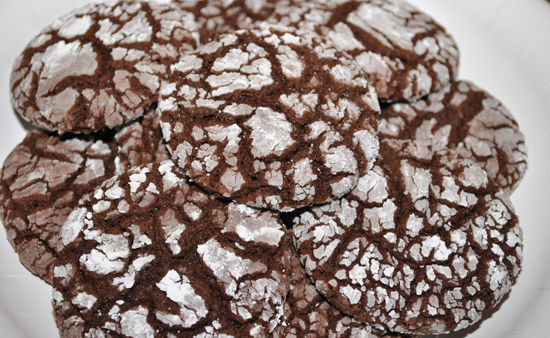 I love how these Fudge Crinkles get their crinkles :) They look like little snowballs when you bake them but come out like cracked marble. Get the recipe HERE. -place a sheet of wax paper on the counter and then portion and roll all of the balls out before putting in powdered sugar. This way if you don't get exactly 2½ dozen you can re-portion them out. -the cookies are fairly large. I think next time I'll make the balls smaller for little nibble sized cookies. 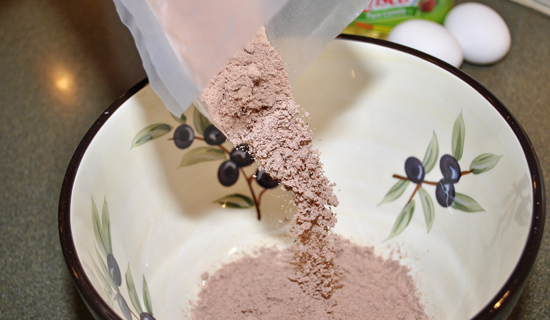 -put 1-2 cups of powdered sugar in a large ziplock bag and then toss your balls in the sugar to coat. This makes it easy and less messy. Also, make sure you really have the balls coated, otherwise your cookies don't have a noticeable crinkle effect. HAPPY BAKING and HAPPY FRIDAY!